With a dream for a “second act” business, this couple is inventing their future. We have the ability to customize our existing product line with monograms, scripts, logos, and graphics. Or when additional customization is desired, we work directly with you to create your own unique wood and sign creations for any occasion. 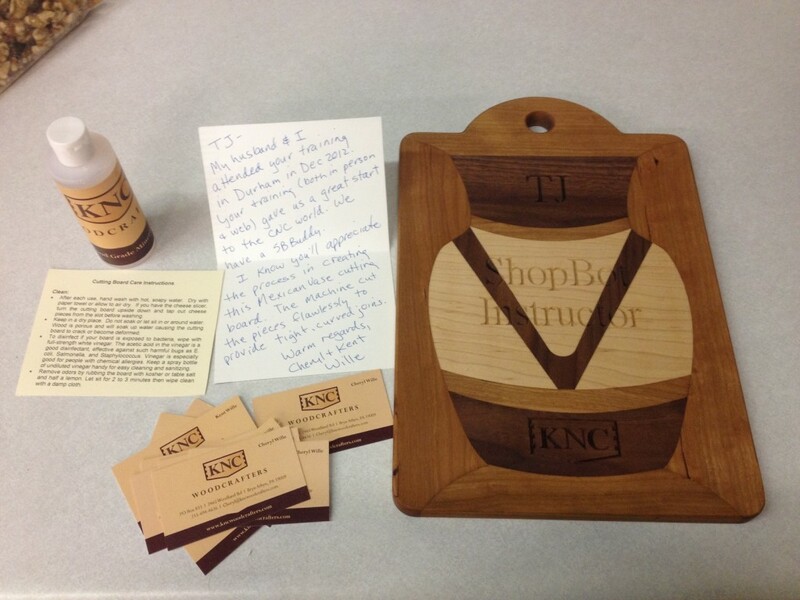 The couples’ complementary skillets seemed the most natural approach and led to their decision to start KNC Woodcrafting. One of their first investments in the business was a ShopBot Buddy CNC tool. The Willes recently attended a ShopBot training class at the company’s headquarters in Durham, N.C., which they said was very helpful to their growth as new ShopBotters. “We both learned a lot from TJ at the ShopBot Training — he made it fun and interesting for everyone there,” Cheryl noted. Computer technology is getting both less expensive and easier to use all the time. So if you’re even just thinking about the idea of making a product yourself either as a hobby or as a business, there’s little or no barrier to entry for anyone at any age, to take advantage of computer-driven design and fabricating tools. 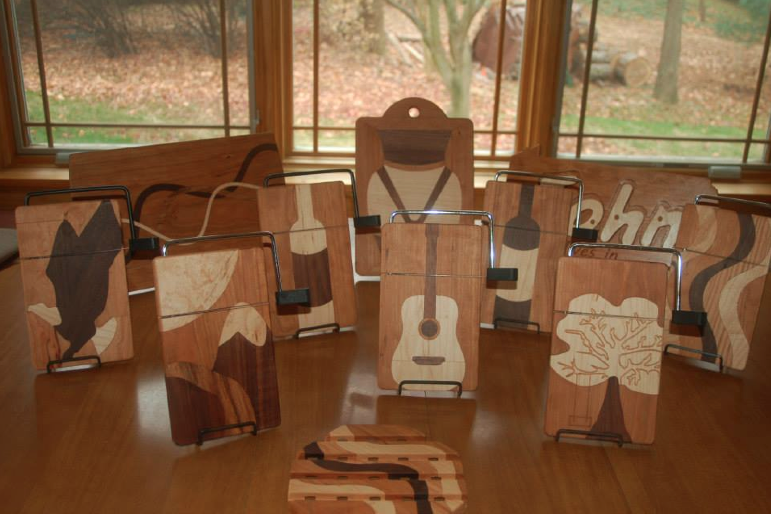 To browse the many types of items you can make with the help of a ShopBot Tool, visit the Applications page. The Willes have installed their ShopBot Buddy in their garage. Learn more about the tool here. Here’s an overview of the tools and guide to helping you choose. Give ShopBot a call or use this form to get in touch. We’ll be glad to assist you. DID YOU KNOW? There’s a great, supportive network of digital fabrication businesses at 100kGarages.com. Check it out and join the community for free.